The Elie, MB grain elevator, Apr 2017. Contributed by Steve Boyko. 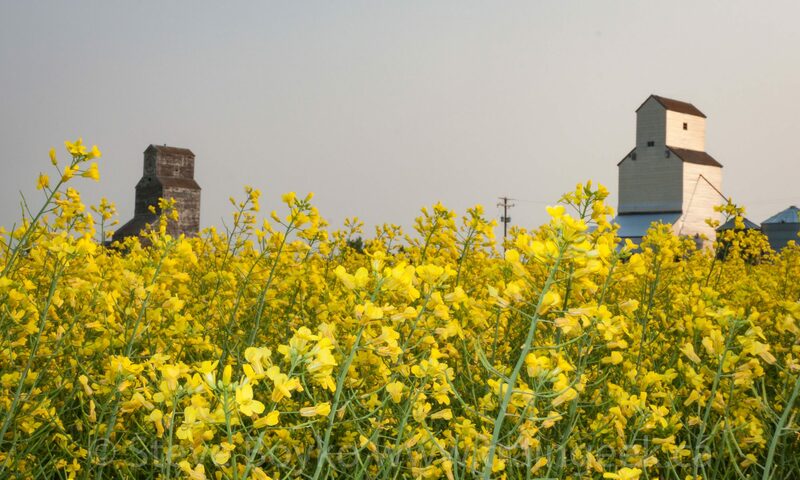 The main Elie grain elevator is a former Manitoba Pool elevator, located just west of the town of Elie. 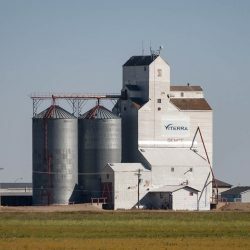 There are two smaller grain elevators in the vicinity. 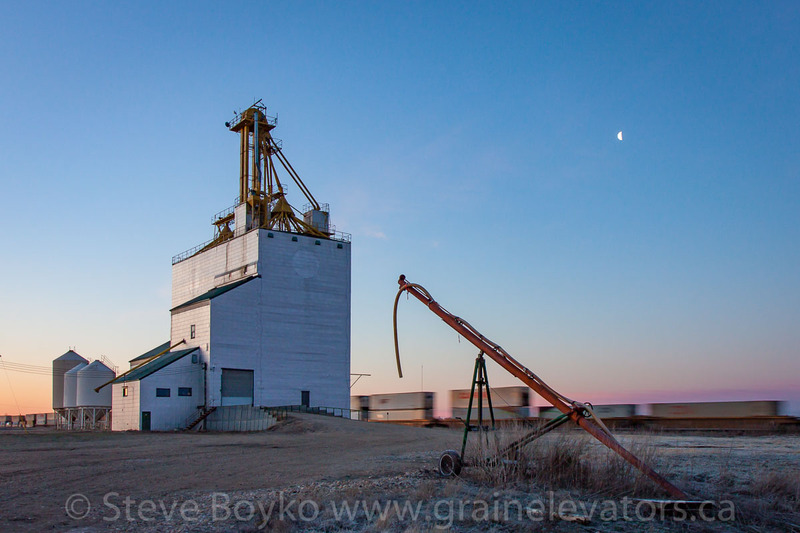 This elevator was built in 1986, one of the last wooden grain elevators built in Manitoba. It has a capacity of 3,750 tonnes. It became owned by Agricore after the merger of Manitoba Pool and the Alberta Pool, and was closed in 2002. It was purchased by several local farmers. 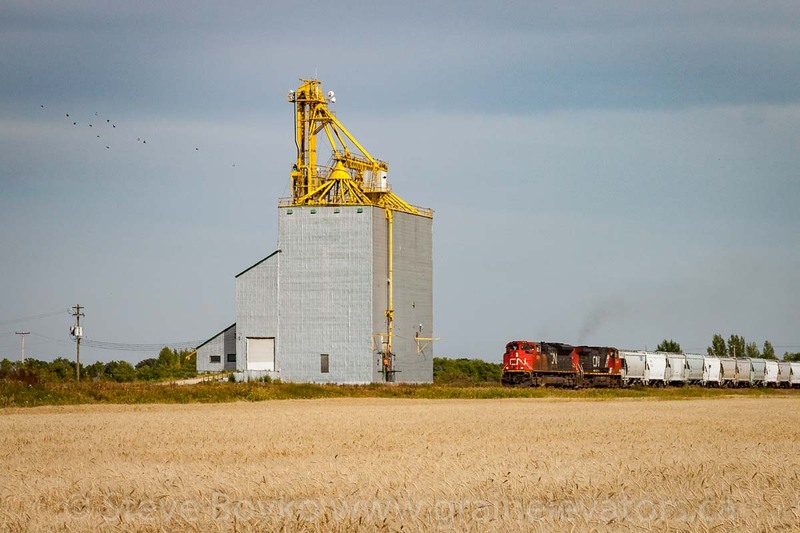 Train passing the Elie, MB grain elevator, Aug 2017. Contributed by Steve Boyko. The elevator is located beside the CN Rivers subdivision but has no rail access. The first Manitoba Pool elevator was built in 1928. It received an annex in 1957 to have a total capacity of 1,957 tonnes. It was renovated in 1969 and again in the mid 1970s. This became the “A” elevator when the current elevator was built and presumably it was demolished soon after. There was a United Grain Growers elevator in Elie. This was the first elevator in Elie, built sometime before 1912 by the Canadian Elevator Company. Canadian Consolidated Grain took over the elevator after 1929, and it became a UGG elevator after UGG bought CCG in 1959. It was renovated in 1967 with a new driveway, scale, hoist, leg and office. The date of its demolition is not known. Canadian Northern train station in Elie, MB. 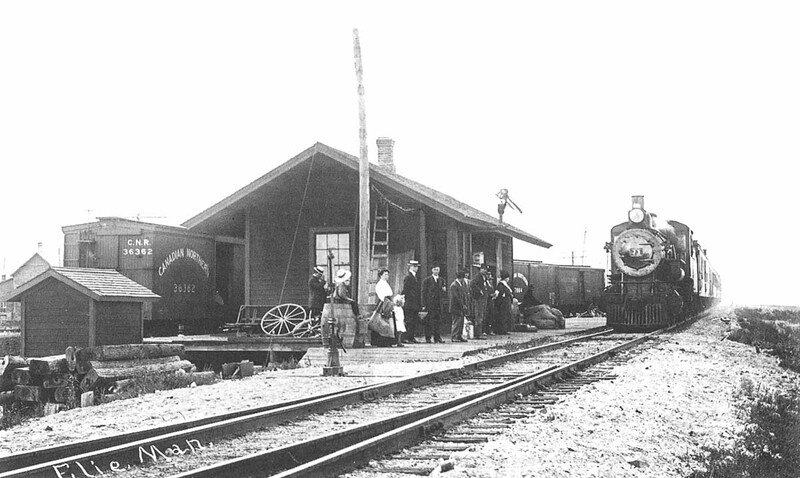 The first railway through Elie was the Northern Pacific and Manitoba, jointly built by the Manitoba government and the US Northern Pacific railway. It was leased to the Canadian Northern around the turn of the century. 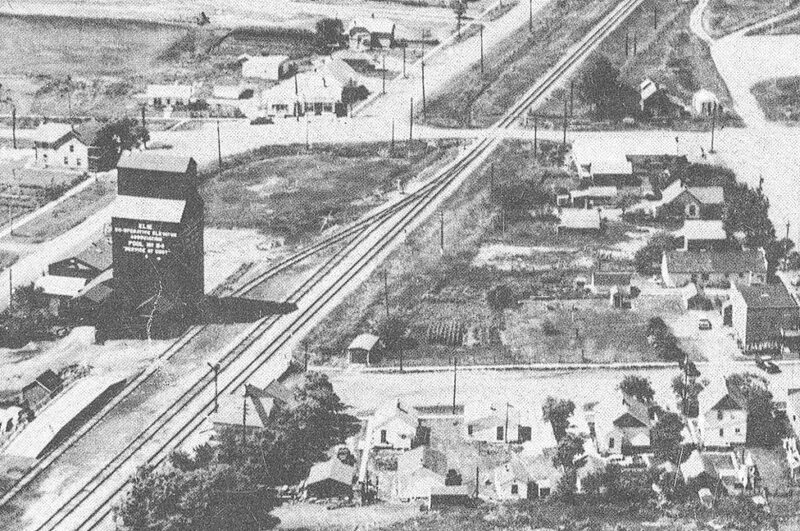 The competitor to the Canadian Northern, the Grand Trunk Pacific, built a parallel line a half mile north and their station stop was known as North Elie. Elie, MB train station, 1918. After both the Grand Trunk Pacific and the Canadian Northern experienced financial difficulties, they were acquired by the federal government and became part of the Canadian National Railways (CNR). Over time the northern route, the ex Grand Trunk Pacific line, was abandoned in stages and the Trans-Canada Highway was built over much of it. The Canadian Northern line is now the two-track CN main line through Manitoba, known as the CN Rivers subdivision between Winnipeg and Melville, SK. Elie was the site of Canada’s first recorded F5 strength tornado, on June 22 2007. Read more! Acknowledgements and thanks to the authors of “Treasures of Time: The Rural Municipality of Cartier” for many of the dates and photos.